For those of you who blog, do you ever do photo shoots and then just sort of forget about the pictures or perhaps they get put on the back burner only to discover them months later? 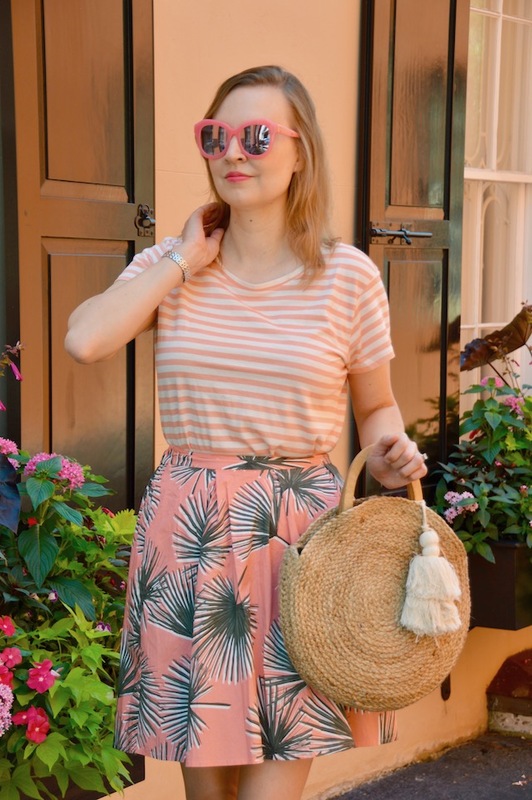 Well, as July is rapidly coming to an end, I am realizing that I have a few posts from early June, such as this one, that I have yet to share! These pictures were actually taken during our trip at the beginning of June to Charleston, South Carolina. 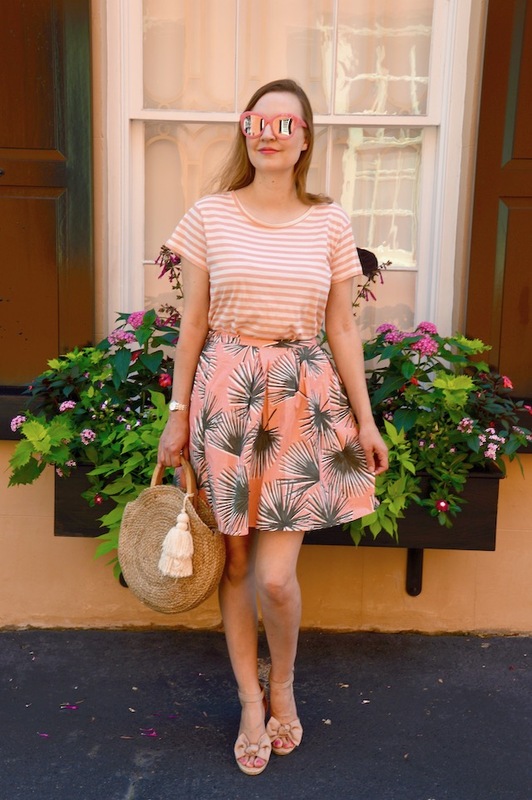 The goods news is that this palm skirt from Target that I am featuring is now on clearance for under $13! You can't beat that for such a fantastic skirt! We took these photos on the day we left Charleston. It was the hottest and most humid day of the trip, which is saying a lot because Charleston is very hot and humid during the summer! Since we were going to be doing a fair amount of driving that day to our next destination, I wanted to wear something that would be comfortable for the car. 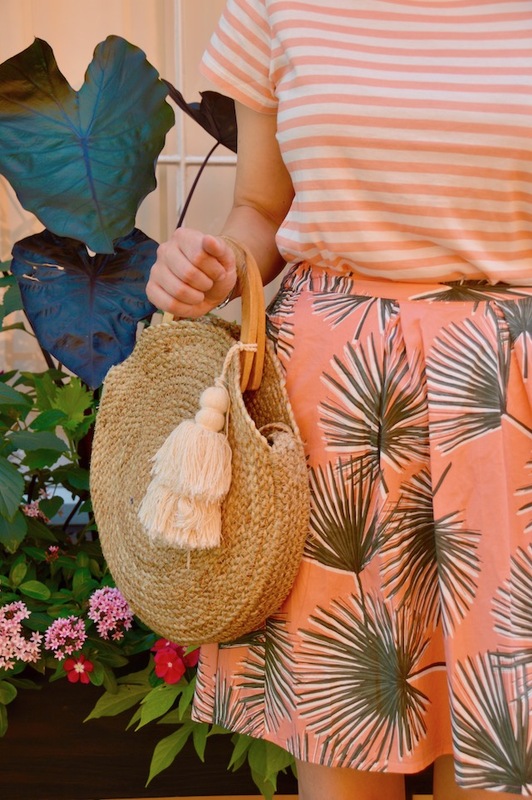 Because this palm skirt has an elastic waist band and is made of cotton, it was perfect for the occasion. 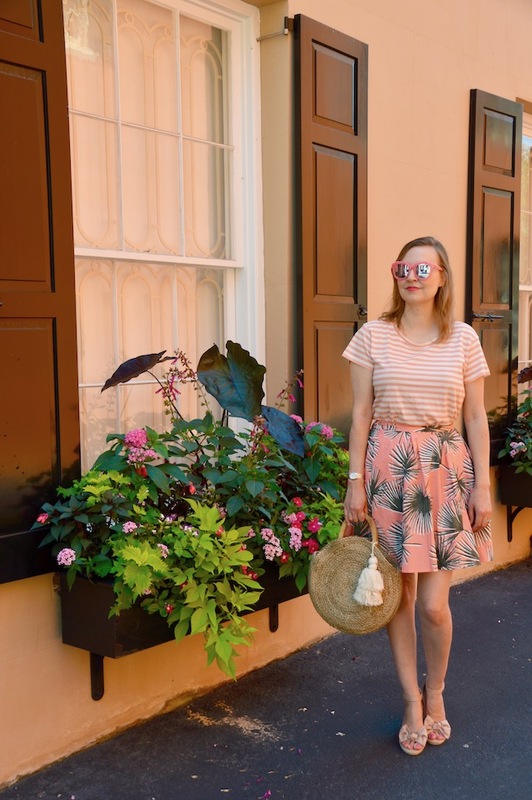 We took these photos a few blocks away from our lodgings after loading the car and although I didn't realize it at the time, the house I'm standing in front of matches my outfit to the point where I am almost camouflaged! It's just peachy!